Come and listen to my story ‘bout a man named Vince, inhabited by Satan—ain’t been the same man since, he’s in California and our boys have got to see, so they loaded the Impala and they went to Beverly…Hills that is. (So okay, my song parodying skills need sharpening, and so do the angel blades.) 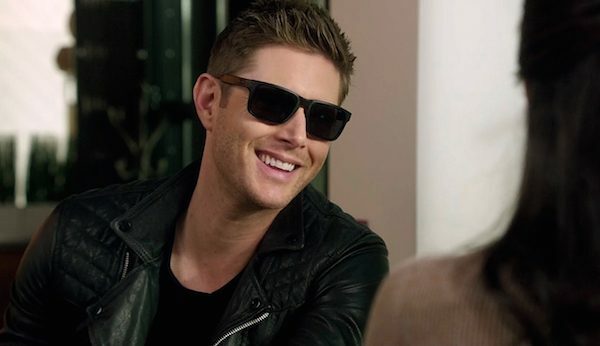 Vince Vincente is in LA and that means Sam, Dean, Castiel and Crowley are invading the land of swimming pools and movie stars to try to send him back to the cage before he literally becomes a monster of rock. 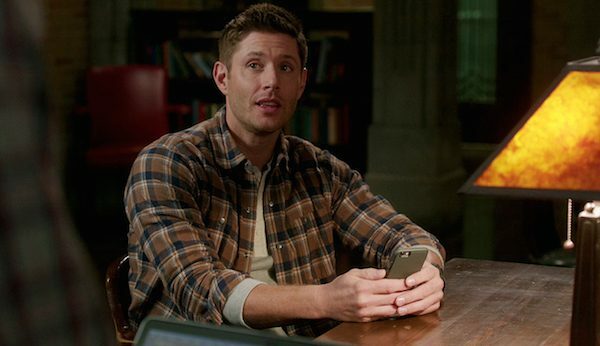 Did anyone else think that Dean playing Words with Friends with Mary was adorable? Dean always seems slightly behind the times when it comes to pop culture and playing this (and the idea of twerking) was no exception. Still, it was fun to see “67impala327” interacting with “mothermary1983” in a way that didn’t involve words like “abandoned” and “cursed” and “ceiling” (still too soon?) Side note: did everyone catch the letters when Dean entered twerking into the game? LURIFEC. Subtle. 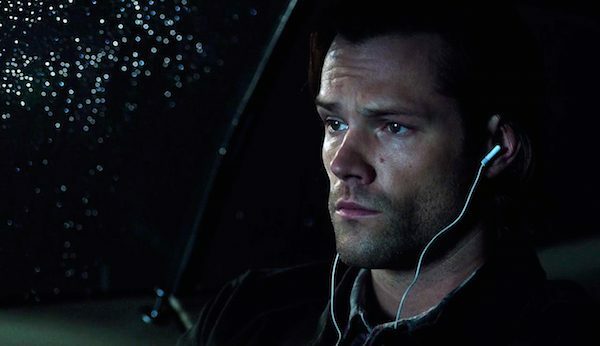 The whole exchange in the car when Dean finds out Sam is listening to Ladyheart? Again with the adorable. 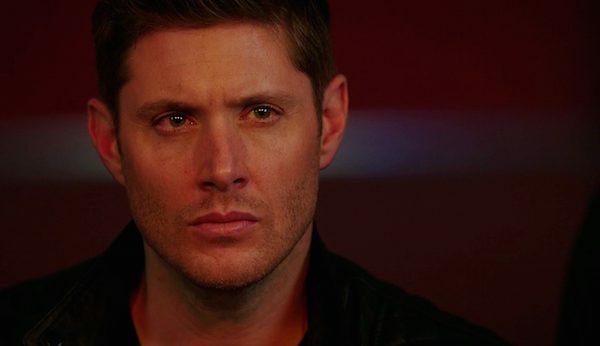 I loved it all, from Dean’s disdain to Sam’s declaration that he was done apologizing for his guilty pleasure. Dean’s taste for rock always tended toward the classics, and a hair band song called “Bloody Messiah” was never going to stand up to the likes of Led Zeppelin and Bob Seger. Watching Sam bob his head in time did have me wondering, though—what happened to the driver picking the music and shotgun shutting his cakehole? I’m not gonna lie—I wasn’t really feeling the Vince Vincente/Lucifer rock god storyline. That said, the whole concept as a nod to the desire to be adored and the commentary on the influence of social media and the power of the publicist was more timely than ever. And the only one who really understands it? Crowley. He’s been a king and he knows how it feels to be worshipped and able to manipulate people without even really trying. The concert? Isn’t about the music. It’s about the (literally) bloody fans. The boys. Not in plaid flannel! Yummy. As I have said in the past, I loves me a fantastical costume change. They looked pretty damned good as they tried to sell themselves as the American Oasis. “Brothers that rock together.” Indeed. My only complaint? They’re in southern California. There wasn’t any investigation that needed to be done on a beach somewhere? Preferably shirtless? Vincifer sure did rack up a body count, eh? I was sad to see Russell go for no other reason than that I love Kadeem Hardison but you know who I wouldn’t have been sad to see take a pen to the throat? That publicist. After admitting she has worked with sexists, racists and politicians she was far bad enough, but to not recognize that our boys were stars in the making? Shameful. The fearsome foursome finally get the location of the secret Ladyheart show and head there, set to stop Lucifer. 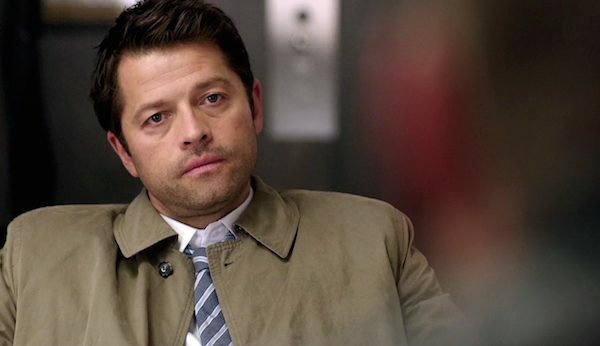 Cas thinks they’ll last three minutes, Crowley pitches himself in to make it four. 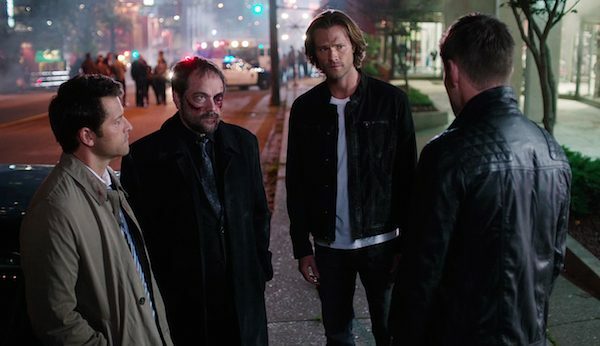 It’s wonderful seeing all of these guys work together to face a common threat, even as Cas and Crowley get their asses handed to them. They are the dream team, and them working together is so much more satisfying then when they are fighting each other. Keep it up, boys. Lucifer ain’t goin’ anywhere. After Vincifer beats Cas and (especially) Crowley to a bloody pulp he heads out to absorb the adoration of the crowd, intent on making them pay homage with their lives. Sam pulls the fire alarm to no avail, and, finally, Dean shoots his gun (this is not a euphemism) into the ceiling, finally shocking people into running. As Vincifer tries to seal everyone inside it is Sam’s wingspan that saves the day—he holds the doors open with all his might (and all his height) which allows people to escape. And then? And then??? 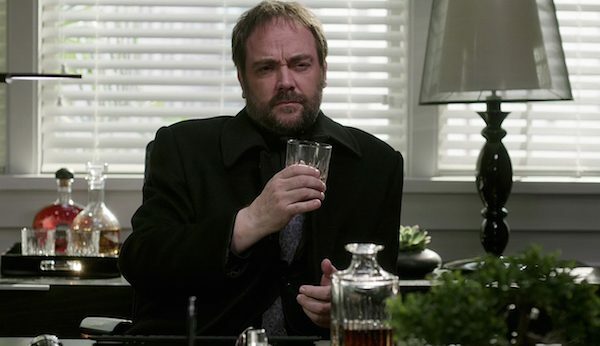 Crowley calls Vincifer assbutt and attacks, but, sadly, the casting away of an angel doesn’t go nearly as well as it did in Season Five. 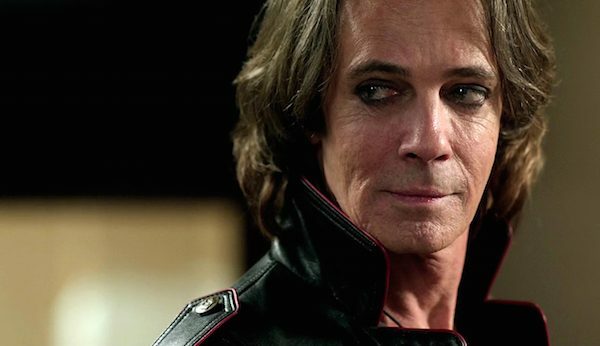 Rick Springfield finally gets his moment to sell Lucifer, and he does so with a grand soliloquy that is very well played. He reneges on his truce with God, telling them that God apologized for abandoning him and then…abandoned him (fair point well made.) He tells the fab four that he doesn’t have a plan—he’s just going to break his daddy’s favorite toys and make them watch. Of course, he won’t do it in Vince. Kicking their asses has kicked his, and Vince is burning alive. Before Vince can totally dissolve, Lucifer exits stage up, leaving our quad wondering where he’ll go next. Dean calls the saving of the crowd a win, but Sam can’t. Vince is dead, the band is dead, Russell is dead, the publicist is still alive (I kid…). Lucifer is without a plan and that’s scary. “We’re not winning…we’re just losing slow,” Sam says. “He’s going big,” Crowley says. “And he’ll go bigger,” Cas adds. “And we will stop him. We will,” Dean says. 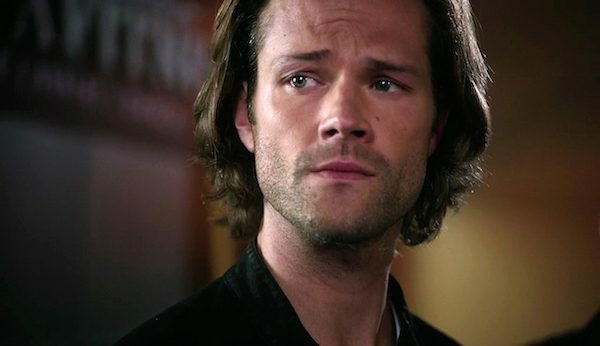 “That’s what we do, man.” And as we close on Sam’s tortured expression we have to wonder—how?